Disk Utility, a free application included with the Mac operating system, is a multipurpose, easy-to-use tool for working with hard drives, SSDs, and disk images. Among other things, Disk Utility can erase, format, repair, and partition hard drives and SSDs, as well as create RAID arrays. Note: This guide is for the version of Disk Utility found in OS X 10.10 Yosemite and earlier. Disk Utility works with disks and volumes. The term "disk" refers to the drive itself. A "volume" is a formatted section of a disk. Each disk has a minimum of one volume. You can use Disk Utility to create a single volume or multiple volumes on a disk. It's important to understand the relationship between a disk and its volumes. You can erase a volume without affecting the rest of the disk, but if you erase the disk, then you erase every volume that it contains. Disk Utility has three main sections: a toolbar that spans the top of the Disk Utility workspace; a vertical pane on the left that displays disks and volumes; and a work area on the right, where you can perform tasks on a selected disk or volume. Disk Utility is located in Applications > Utilities. Launch it. If you plan to use Disk Utility for system maintenance purposes as well as for working with hard drives, add it to the Dock. Right-click the Disk Utility icon in the Dock and select Keep in Dock from the pop-up menu. Erasing a volume is an easy way to free up drive space. Many multimedia applications, such as Adobe Photoshop, need a large amount of contiguous disk space to work. Erasing a volume is a faster way of creating that space than using third-party defragmenting tools. Because this process erases all the data on a volume, many multimedia-savvy individuals create small volumes to hold a project's worth of data and then erase the volume before starting the next project. The data-erase method outlined here doesn't address any security issues that may be associated with the erased data. In fact, most data recovery programs would be able to resurrect the data that was erased using this simple process. If you're concerned about security, consider using the secure erase procedure addressed later in this guide. Select a volume from the disks and volumes listed at the left side of the Disk Utility window. Each disk and volume is identified by the same name and icon that it displays on the Mac desktop. Click the Erase tab. The selected volume's name and current format display in the right side of the Disk Utility workspace. Click Erase. Disk Utility unmounts the volume from the desktop, erases it, and then remounts it on the desktop. The erased volume retains the same name and format type as the original. If you need to change the format type, see how to format a Mac's hard drive using Disk Utility later in this guide. Disk Utility provides four options for securely erasing the data on a volume. The options include a basic erase method, a slightly more secure erase method, and two erase methods that meet or exceed U.S. Department of Defense requirements for erasing confidential data from hard drives. If you're concerned about someone being able to recover the data you're about to erase, use this secure erase method. Select a volume from the disks and volumes listed on the left side of the Disk Utility window. Each disk and volume is identified by the same name and icon that it displays on the Mac desktop. Click the Erase tab. The selected volume's name and current format display at the right side of the Disk Utility workspace. Click Security Options to display erase options that vary depending on the version of the Mac OS you are using. Don’t Erase Data. This method is quick, but not secure. It removes the volume's catalog directory but leaves the actual data intact. Zero Out Data. This method provides a good level of security. It erases the volume's data by writing over it with zeros. The length of time this method takes depends on the size of the volume. 7-Pass Erase. This method meets the security requirements of the U.S. Department of Defense's 5220-22M standards for erasing magnetic media. This erase method can take a long time. 35-Pass Erase. This is the highest level of data erase security that Disk Utility supports. It writes over the data on a volume 35 times. Don't expect this erase method to finish any time soon. Fastest. This is the quickest erase method. It doesn't scramble the file data, which means a recovery app may be able to resurrect the erased data. Zero Out the Data. This erase method writes a single path of zeros to all locations on the selected volume or disk. Advanced recovery techniques could restore the data, but it would require a great deal of time and effort. Three-Pass. This is a DOE compliant three-pass secure erase. It writes two passes of random data to the volume or disk and then writes a single pass of a known data pattern to the volume or disk. Most Secure. This method of securely erasing a volume or disk meets the requirements of the U.S. Department of Defense (DOD) 5220-22M standard for securely erasing magnetic media. The erased volume is written to seven times to ensure the data can't be restored. Make your selection and click the OK button to close the Security Options. Click Erase. Disk Utility unmounts the volume from the desktop, erases it and then remounts it on the desktop. Formatting a drive is conceptually the same as erasing it. The main difference is that you will select a drive, not a volume, from the list of devices. You will also select the type of drive format to use. This formatting process takes a little longer than the basic erase method described previously. Select a drive from the list of drives and volumes shown in Disk Utility. Each drive in the list displays its capacity, manufacturer, and product name, such as 232.9 GB WDC WD2500JS-40NGB2. Enter a name for the drive. The default name is Untitled. The drive's name eventually appears on the desktop, so it's a good idea to choose something that's descriptive, or at least more interesting than "Untitled." Select a volume format to use. The Volume Format drop-down menu lists the available drive formats that the Mac supports. Select Mac OS Extended (Journaled). Click Security Options to open a menu that displays multiple secure erase options. Optionally, select Zero Out Data. This option is for hard drives only and should not be used with SSDs. Zero Out Data performs a test on the hard drive as it writes zeros to the drive's platters. During the test, Disk Utility maps out any bad sections it finds on the drive's platters so they can't be used. You won't be able to store any important data on a questionable section of the hard drive. The erase process can take a fair amount of time, depending on the drive's capacity. Make your selection and click OK to close the Security Options menu. Click the Erase button. Disk Utility will unmount the volume from the desktop, erase it, and then remount it on the desktop. Disk Utility can't directly erase or format a startup disk, because Disk Utility and all of the system functions it uses are located on that disk. If Disk Utility tried to erase the startup disk, it would at some point erase itself, which could present a problem. To get around this, use Disk Utility from a source other than the startup disk. One option is your OS X Install DVD if you have one, which includes Disk Utility. Macs without optical drives use the Recovery volume. Insert the OS X Install DVD in your Mac's CD/DVD reader. 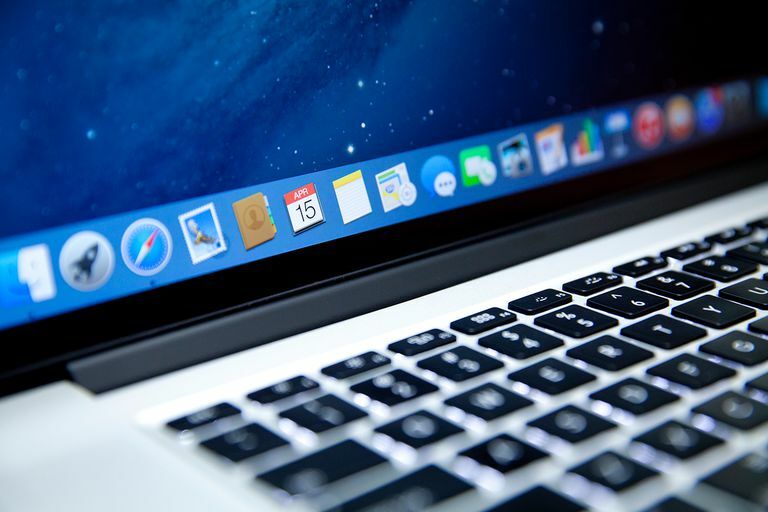 Restart the Mac by selecting the Restart option in the Apple menu. When the display goes blank, press and hold the c key on the keyboard. Booting from the DVD can take time. After you see the grey screen with the Apple logo in the middle, release the c key. Select Use English for the main language. when this option appears, and then click the arrow button. Select Disk Utility from the Utilities menu. When Disk Utility launches, the drive from the disks and volumes listed at the left side of the Disk Utility window. Click the Erase tab. The selected drive's name and current format display in the right side of the Disk Utility workspace. Click Erase. Disk Utility unmounts the drive from the desktop, erases it, and then remounts it on the desktop. For Macs that do not have an optical drive, you can boot from the Recovery HD to run Disk Utility. Learn how in Starting Up From the OS X Recovery HD Volume. You can then use the steps in the Erase a Non-Startup Volume section. Quit Disk Utility by selecting Quit Disk Utility from the Disk Utility menu item. This takes you back to the Install OS X window. Quit the OS X Installer by selecting Quit OS X Installer from the Mac OS X Installer menu item. Set the startup disk by clicking the Startup Disk button. Select the disk you want to be the startup disk and then click the Restart button.